It’s that time of year again — when Apple rumors begin to fill up every corner of the internet. While there’s already plenty of speculation about the next iPhone, iPad Pro, and even MacBook, rumors about the upcoming Apple Watch Series 4 have been pretty sparse … until now. Although we’re just starting to hear rumors about the upcoming Apple Watch Series 4, it looks like this may be a huge year for the much-loved wearable. Here’s everything we know about the forthcoming Apple Watch Series 4. The Apple Watch Series 4 will run on WatchOS 5. 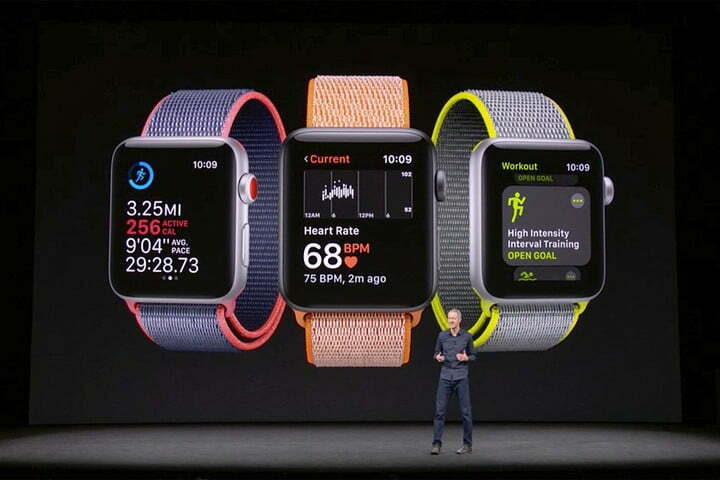 The newest version of WatchOS includes improved health-tracking options, an all-new walkie-talkie feature, and a Podcast app. There are more features in WatchOS 5, of course, and we wouldn’t be surprised to see some surprises when the next Apple Watch is announced. In addition to the improved health tracking in WatchOS 5, we’re expecting to see hardware updates to improve health monitoring. Kuo predicts we’ll see improved heart rate tracking on the Series 4. 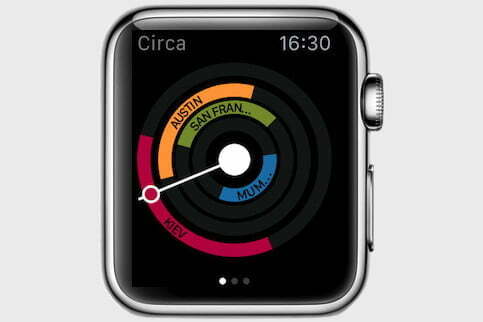 There’s also the possibility that will will see the UV tracking feature on the upcoming Apple Watch. Apple submitted a patent in late 2017 for a “sunscreen detector” that can be used with a “mobile and/or wearable device.” The device monitors sun exposure and will “generate a notification to the user about whether they should apply sunscreen.” While we don’t know the specifics of the feature, it does sound a bit like L’Oréal’s long-awaited UV Sense. Finally, there’s also the chance that Apple may introduce native sleep tracking (especially since Apple bought Beddit in 2017) this year, along with period tracking on the next Apple Watch. Will the Apple Watch Series 4 pack a bigger battery than its predecessors? If a report from KGI Securities is to be believed, the Apple Watch Series 4 will get a bump in battery capacity this year. In addition to a larger battery, it’s also likely we’ll see better battery life overall on this year’s refresh since Apple continuously finds ways to make its chips more energy-efficient. 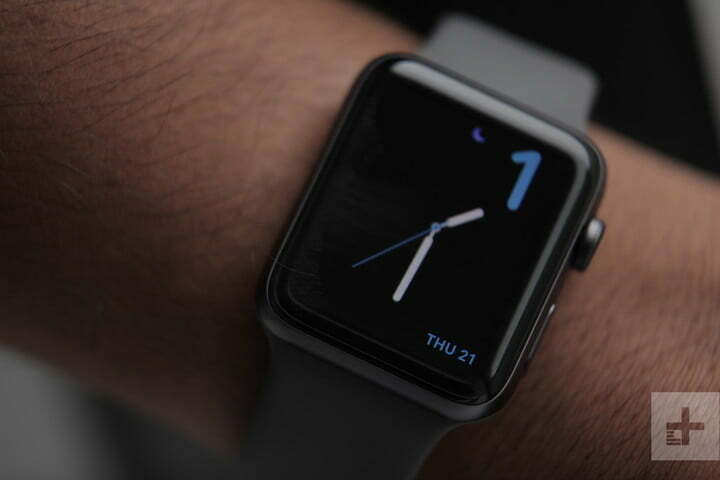 The transition from an OLED to a MicroLED display could also significantly increase the battery life for the Apple Watch Series 4. In terms of charging, we’d hope to see more wireless charging options for the Apple Watch Series 4. 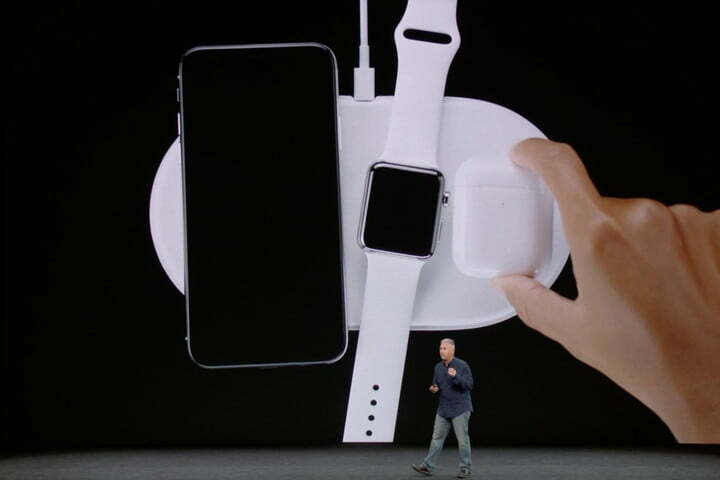 Since Apple introduced a wireless charging option with Apple AirPower for it’s Series 3 smartwatch, it’s not too far-fetched to think this year’s Apple Watch may offer wireless charging via Qi Standard. While the overall design of the Apple Watch has become iconic and been the inspiration for many a smartwatch, it seems time for change. According to a report from KGI Securities, first spotted on 9to5Mac, a design change is coming to the Apple Watch Series 4. While KGI Securities does not provide a lot of specifics, it predicts that this year’s Apple Watch will feature “a more trendy form factor design.” The firm also suggests that the display on the Apple Watch Series 4 will be 15 percent larger. In July, analyst Ming Chi-Kuo elaborated a bit and predicted the Apple Watch Series 4 will have 1.57-inch and 1.78-inch displays. While we can’t imagine that Apple would actually make the overall case on the Series 4 smartwatch any larger, it could add more display real estate by decreasing the size of the bezels. 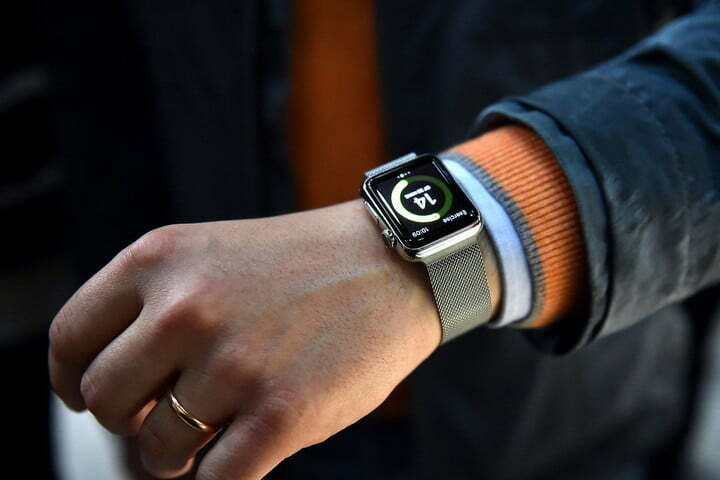 This year’s Apple Watch will almost certainly ship with an upgraded Apple S4 processor. As with every processor update, we’d expect to see better performance and improved efficiency. Since the Apple Watch Series 3 shipped with 16GB of storage, we think it’s unlikely to see a bump in storage for the 2018 refresh. As for memory, the Series 3 Apple Watch shipped with 768MB of RAM, so we don’t think it would be unheard of for Apple to bump it up to an even 1GB on the Series 4. We’d also like to see Apple move to Bluetooth 5 for the Apple Watch Series 4. There’s also the possibility that Apple will transition to more efficient MicroLED displays for this year’s crop of Apple Watches. Pricing for the next Apple Watch is unknown but we would anticipate a modest price increase over the Apple Watch Series 3 to account for the larger display and improved internals. We also anticipate a Wi-Fi model, as well as a more expensive LTE version. While it’s tricky to guess exactly when the Apple Watch Series 4 will be announced, our best guess is in September 2018. For the past few years, Apple has announced Apple Watch refreshes alongside its iPhone, and we expect that tradition to continue.